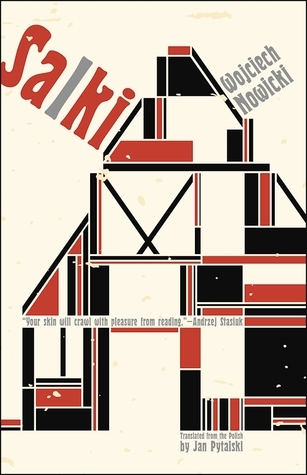 Win a Copy of "Salki" by Wojiech Nowicki from GoodReads! Lying in bed in Gotland after a writer’s conference, thinking about his compulsive desire to travel—and the uncomfortable tensions this desire creates—the narrator of Salki starts recounting tragic stories of his family’s past, detailing their lives, struggles, and fears in twentieth-century Eastern Europe. In these pieces, he investigates various “salkis”—attic rooms where memories and memorabilia are stored—real and metaphorical, investigating old documents to better understand the violence of recent times. Winner of the prestigious Gdynia Literary Award for Essay, Salki is in the tradition of the works of W. G. Sebald and Ryszard Kapuściński, utilizing techniques of Polish reportage in creating a landscape of memory that is moving and historically powerful.